I had a dental appointment last week. Years ago, I requested never to be scheduled with one particular hygienist. The first time I saw her, I left there feeling as if my mouth had been ripped apart. As it turned out, she has a child with autism. I made the mistake of telling her that DC also has autism. Mistake? Yes! Mistake! This was the most uncomfortable and painful appointment I have ever had! 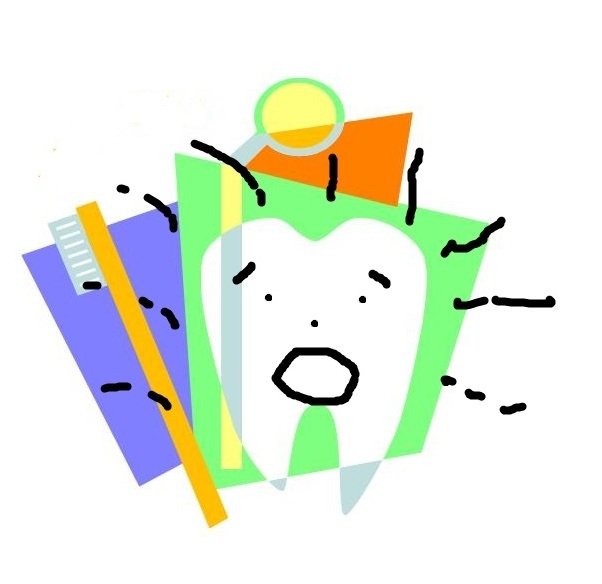 Painful – because the more she talked about her son the more aggressively she cleaned my teeth. Uncomfortable – because the stories she felt compelled to tell me about him were just unbelievably inappropriate (in my opinion) and very uncomfortable for me. I have friends and we do feel relatively comfortable talking about our many issues with our children, but never, ever would I speak of these things with a stranger or here in this blog. Her stories went above and beyond anything I could even imagine. In general, I am usually willing to talk with anyone about autism. I am no expert and can only speak to DC’s autism, but I am always willing to talk about it if someone feels the need. It did not take long for me to realize that she was not looking for someone to talk to, she was just really looking for someone to shock and this conversation was not just for my benefit, it was for the benefit of the entire office. When I arrived for my appointment last week I discovered that they had scheduled me with her again. I couldn’t ask them to switch because she was standing right there. She didn’t remember me, and I specifically did not mention DC…. but it didn’t matter – she had just gone through a divorce……. I left there with my mouth torn to pieces. This appointment and the memory of my first appointment with her reminded me of a post I wrote a few months back which was written about what I will share or not share. Everyone has different ideas about what they feel comfortable sharing, but there are some things that I, personally am not comfortable in sharing here – that’s just me. I am sure there are people that think that I share too much and that is fine too – I am comfortable right where I am..
That woman needs therapy ! Or maybe a LOT of Xanax, Valium, or ” Chill Pills “. Never let personal issues or things from the ” outside ” interfere with your work environment. That was instilled into me almost from Day One ! Apparently she didn’t get the memo. I have “talks” with pain-causing hygienists and will stop them to tell them to be more gentle. What makes it easy is that I am very happy to leave before they are done if they don’t listen! I’ve been lucky. The only time I feel outright pain or discomfort is when the hygienist or dentist asks me to hold my mouth open for a relatively long time. Or they put this ” frame ” to hold my mouth open. Makes my jaw ache. I have had that done, yes it really makes your jaw hurt after awhile. Fortunately, they use nitrous oxide in addition to novacane ! Find another dentist immediately! What a horrible experience! Due to many other issues with them, I am looking into a new one. Maybe it would be beneficial if the dentist was informed of her mouth – rending tendencies. Ouch! I actually did inform them when I originally asked not to be scheduled with her again. I couldn’t tell by the reaction if they were tired of hearing it (meaning they were hearing it from others) or that they thought I was being ridiculous. Ouch, indeed. My dentist is quite relatively painless. Which he takes ** some ** pride in.